On this episode we look at the strange connections made by characters in crime films both big and small. From a lowly barber attempting to blackmail his wife's lover in the Coen brothers THE MAN WHO WASN'T THERE to a father protecting his son from the life he's chosen in Sam Mendes' ROAD TO PERDITION. 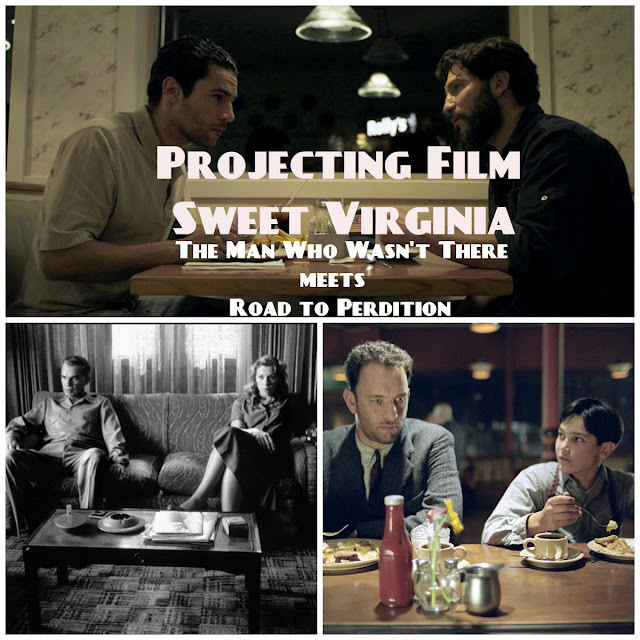 Those two films lead us to new release SWEET VIRGINIA starring Jon Bernthal and Christopher Abbott as two men from the same part of the world brought together by chance and of course... crime. Speaking of which, it would be criminal for you not to listen to this episode or follow us at the places listed below.